Didn't keep up with our mega-ultra-crazy 7-part guide to Art Basel Miami Beach? We're breaking the whole thing down this week into a daily guide, which will be updating through the weekend, adding new exhibitions and parties along the way. If you want to sift through the whole shebang, check it all out here: Part 1, Part 2, Part 3, Part 4, Part 5 Part 6, Part 7 . The 13th edition of Art Basel Miami Beach -- and all its satellite fairs, exhibits, museum and gallery openings (and parties) -- opens today Wednesday, December 3rd, and runs through the 7th at the Miami Beach Convention Center. This year, instead of hosting the "Vernissage" during the evening of December 3rd, it will now take place on Thursday morning, with the general public admitted at 3 p.m. "First Choice VIPs" will still get in at 11 a.m. today, December 3rd, and "Preview VIPs" at 3 p.m. with the doors closing at 8 p.m. The change should prevent another early shut-down by fire marshals as happened in 2011. Marc Spiegler, Director of Art Basel, explains: "We are confident that this opening structure will allow us to provide our galleries with the best opportunity to spend quality time with both existing and potential patrons." Overcrowding -- or shortage of "quality time" -- has also become an issue at Basel in Switzerland and at FRIEZE London, with more VIP days and hours added to keep patrons and galleries happy. 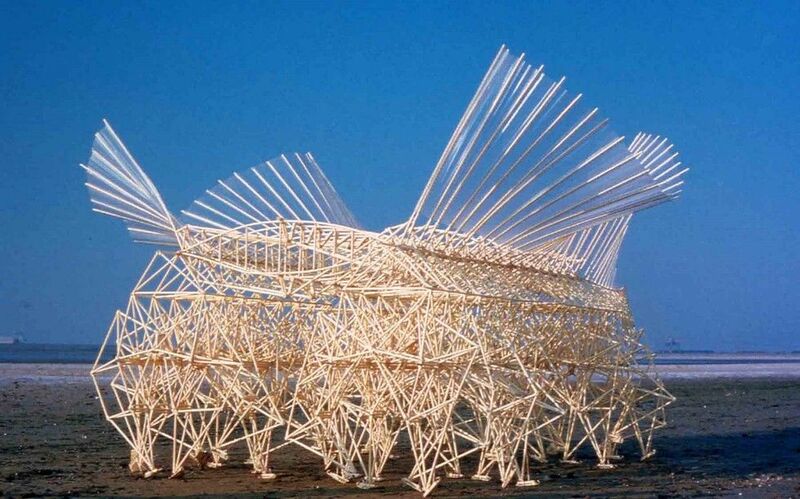 One of Theo Jansen's "strandbeests"
The "PUBLIC" sector of AB/MB opens tonight, 8:30 p.m. to 10 p.m., with live performances by Ryan Gander, Christian Falsnaes, Alix Pearlstein and Liz Glynn & Dawn Kasper. Using the theme "Fieldwork," a total of 26 works by artists from 13 countries -- curated for a second year by Nicholas Baume -- will be on view throughout the week in Collins Park (Collins Avenue at 21st Street, South Beach). Glynn & Kasper plan to transform the park's rotunda into a "pulsating geodesic planetarium" while Falsnaes will construct a large structure, spray paint it, tear it down and then rebuild it. Also be sure to check out Dutch artist Theo Jansen's "strandbeests" on the beach between 20th and 21st Streets and Elmgreen & Dragset's statue of a boy riding a rocking horse. All the deets about the artists and their works are HERE. Due to an on-going fight between two factions of Miami's Museum of Contemporary Art (770 NE 125th Street, North Miami) several members of the museum's board resigned and started a new museum called the Institute of Contemporary Art. It's located temporarily in the Moore Building (4040 NE 2nd Avenue, Miami) in the Design District, but they've just received funding for a permanent home nearby. MOCA is still alive, and their current exhibition called "Shifting the Paradigm: The Art of George Edozie" featuring works by the Nigerian artist, will be up all week. 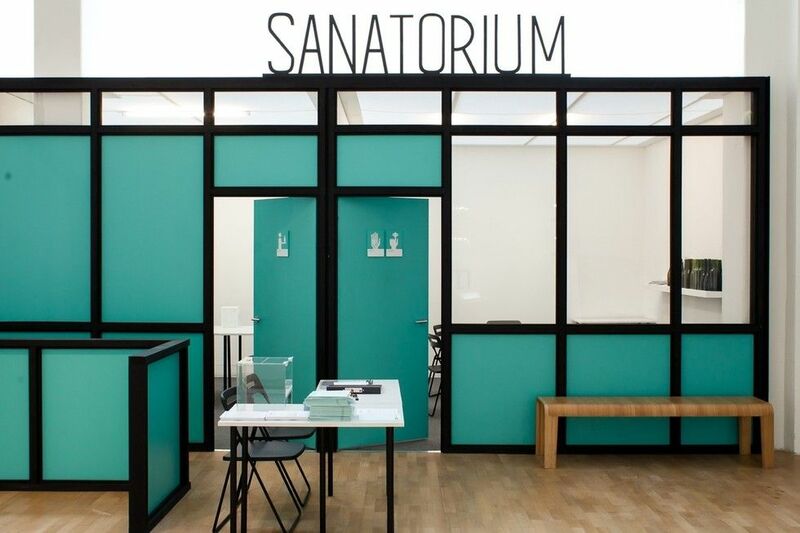 And tonight, December 3rd, the Institute of Contemporary Art is opening an installation/performance piece called "Sanatorium" by the Mexico-based artist Pedro Reyes. The pop-up "clinic" includes receptionists and therapists that will "help visitors with their individual needs" via everything from hypnosis to psychodrama to trust building games. The museum will also present new and recent works by the New York artist Andra Ursuta. The whole strip of Miami Beach from the W Hotel on 23rd Street up to the SoHo Beach House on 43rd Street is the hottest new, high-end real estate in town. This year sees the opening of Ian Schrager's Miami Beach Edition hotel (rooms are over $1,000 a night during ABMB) on 29th Street and the Thompson Miami Beach on 40th Street. Construction is also well under way at Alan Faena's massive $1 billion hotel, condo and art museum complex at 32nd Street with buildings designed by Rem Koolhaus/OMA and Norman Foster. Alan Faena and Len Blavatnik are hosting -- along with Rem Koolhaas/OMA and Studio Job -- a private Argentine asado lunch with chef Francis Mallman. There's also a site-specific installation by Gonzalo Fuenmayor and Studio Job. The Bass Museum of Art (2100 Collins Ave., Miami Beach) will be celebrating their 50th anniversary with an exhibition called "One Way: Peter Marino" curated by Jerome Sans. Marino is a renowned American architect and designer and this show will include art from his private collection plus site-specific installations, an opera collaboration and a series of his bronze boxes. The opening VIP reception is tonight, December 3rd, and it will be open to the public from the 4th until March 29, 2015. AB/MB and Performa are hosting an immersive performance by artist Ryan McNamara called "MEEM 4 Miami: A Story Ballet About the Internet" on December 3rd and 4th at 8 and 10:30 p.m. at the Miami Grand Theater at Castle Beach Resort (5445 Collins Avenue, Miami Beach). RoseLee Goldberg, Performa's founder and director, describes the work by the Brooklyn-based artist: "This piece is far more complex than it first appears, because it unfolds as one surprise after another. The viewer is both totally in the moment and yet spends hours thinking about it afterward." $30 tickets are available HERE. Swiss watch manufacturer IWC will be celebrating their new "Portofino" collection with an exhibition of photos by Peter Lindbergh on December 3rd at the W South Beach (2201 Collins Avenue, South Beach). Several of the celebs featured in the campaign including Emily Blunt, Karolina Kurkova and Adriana Lima are expected; and hosts for the night are DuJour magazine founder Jason Binn and IWC CEO Georges Kern. 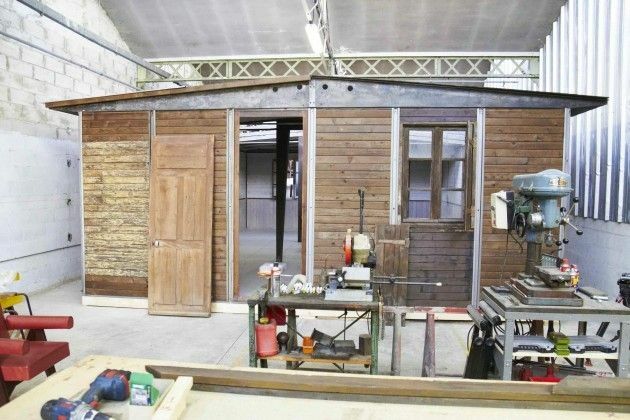 Bally will be unveiling a house designed by Jean Prouve and Pierre Jeanneret in the garden behind The Delano (1685 Collins Avenue, South Beach). The house was originally commissioned by the French government in 1944 and recently underwent a 6-month restoration. During AB/MB it will used for an art installation called "Triangle Walks" featuring works by Zak Kitnick and the art-duo, KOLKOZ; plus selected pieces from Bally's collection of modernist furniture. There's a VIP-only reception on December 3rd, but then it's open to the public by appointment from December 4th to the 7th, 10 a.m. to 9 p.m.
Design Miami returns to a tent behind the convention center at Meridian and 19th Street from December 3rd to the 7th. This year's "10th anniversary" pavilion was created by the Minneapolis-based designer Jonathan Muecke and the fair will also be honoring Peter Marino with their first Design Visionary award. The Thompson Miami Beach (4041 Collins Avenue, Miami Beach) is now expected to be open in time for AB/MB and we hear that Peter Brant, Stephanie Seymour and Jean-Marc Pontroue, CEO of luxury watchmaker Roger Dubois, are hosting a super-private dinner and afterparty with Dom Perignon at the new hotel on December 3rd. In case you haven't heard, Jason Pomeranc recently sold all of his interest in the Thompson Hotel chain -- including the Thompson name -- to John Pritzker's Commune Hotels and the Pomeranc properties are now called Sixty Hotels. The UNTITLED 2014 art fair had their "by invitation only" opening on Monday in a tent on the beach just off Ocean Drive near 12th Street. The opening was a benefit for the AIDS research and education organization ACRIA hosted by Ryan McGinley. The New York artist donated an edition of three prints of his large-format photo, Prairie (Pond), 2014, to the cause. ACRIA will also be offering other objects and prints for sale in a booth at the fair. The fair is open to the public from today through the 7th. 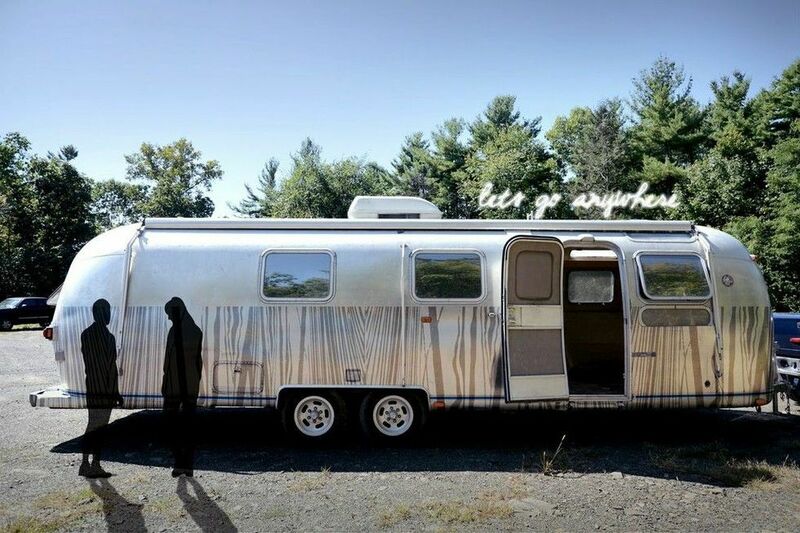 Check out the cool travel trailer, Dream Machine, parked outside by weR2 and featuring interior wallpaper by Brooklyn's CALICO. The Miami Project (NE 34th Street at NE 1st Avenue, Miami) satellite fair returns to Midtown Miami for a third go-round through the 7th. A new fair called Concept will be held aboard the Seafair mega-yacht, docked downtown at Bayfront Park (100 Chopin Plaza, Miami) from December 3 to 7. Over 35 international galleries are expected. 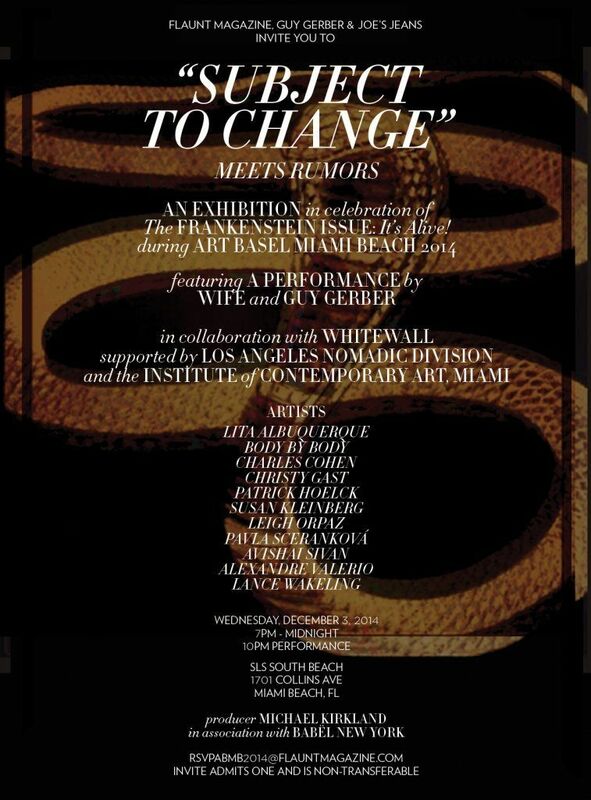 Flaunt Magazine, Guy Gerber and Joe's Jeans host an exhibition called "Subject to Change" in collaboration with Whitewall, LAND and ICA Miami tonight at SLS Miami. The party is produced by Babel NYC and Michael Kirkland and features a performance by Wife and Guy Gerber. 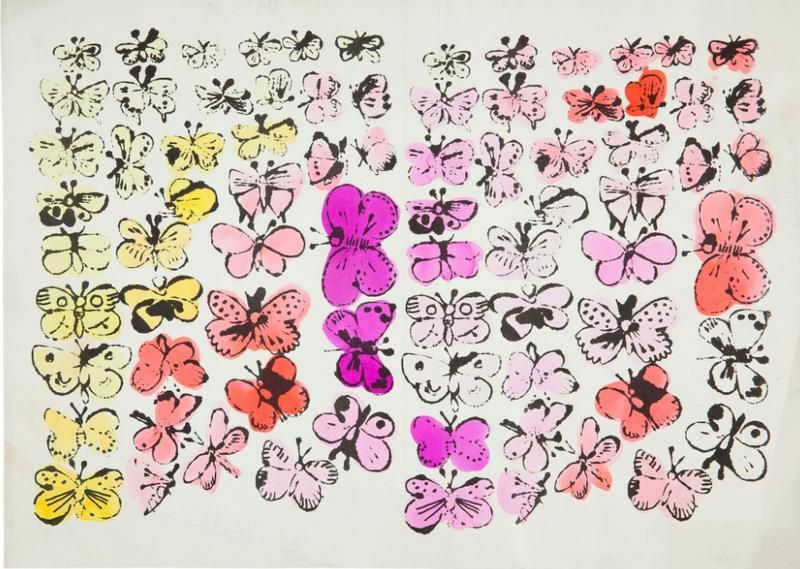 Happy Butterfly Day, offset lithograph with hand-coloring on paper, Executed circa 1955 by Andy Warhol. Christie's and the Marriott hotel group are hosting a pop-up gallery featuring original works by Andy Warhol on December 3rd and 4th in the JW Marriott Marquis Miami (255 Biscayne Blvd., Miami). All the works -- including paintings, photos, prints and works on paper -- are from the Andy Warhol Foundation, with proceeds benefiting their grant-making program. Stop by the hotel's fifth floor and have a look between 10 a.m. and 5 p.m. both days. 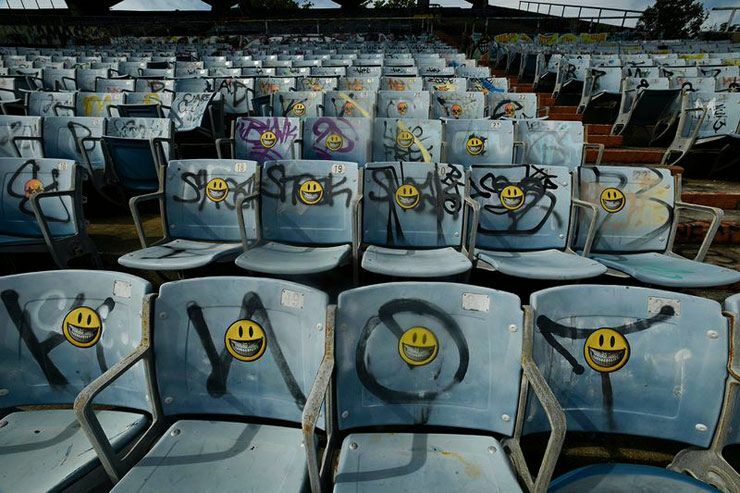 Miami Marine Stadium -- designed by Hilario Candela and built on Miami's Rickenbacker Causeway in 1963 -- is raising money for a total restoration, and they're having a big street-art exhibition during AB/MB. Featured artists include: Ron English, Doze Green, Risk, Tristan Eaton, Crash, The London Police, Astrik and many more. The event is hosted by the Art History Mural Project, the National Trust for Historic Preservation and Friends of Miami Marine Stadium, with proceeds from sales of one-of-a-kind works and limited editions going to the restoration. The show will be open to the public at 5 NW 36th Street, Midtown Miami, daily from 10 a.m. to 10 p.m., from today to the 7th. The Miami Boat Show plans to move to the stadium in 2016. 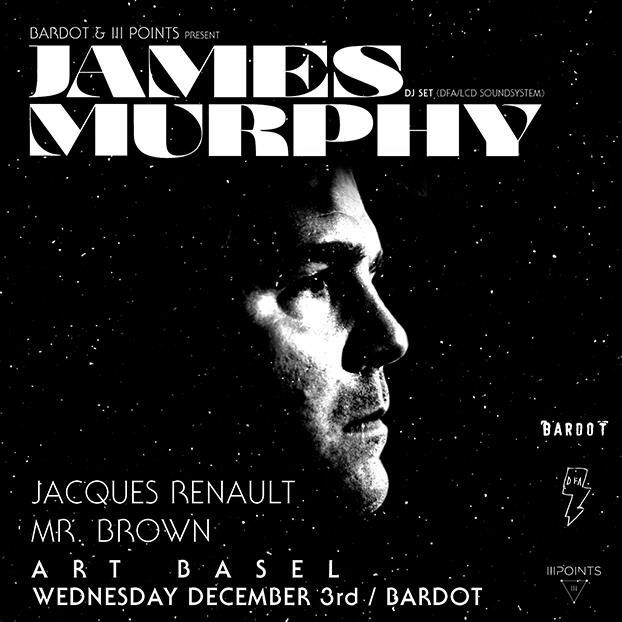 Bardot has a slew of good stuff this week, including a DJ set by James Murphy, Jaques Renauly and Mr. Brown tonight starting at 11 p.m. Tomorrow night, they've got Chaz Bundick's Les Sins and later in the week, it's 1-800-Dinosaur. Tickets and info for all shows here. As usual, the Morgan's Hotel Group has a super-busy week of events lined up including a Snarkitecture (Daniel Arsham and Alex Mustonen) installation in the lobby of the Delano (1685 Collins Avenue, South Beach) and Eric Firestone's "Teepee Project" featuring Jen Stark and Misaki Kawai's interpretations of historic teepee painting at the Mondrian (1100 West Avenue, South Beach); and Le Baron -- celebrating their 10-years-running Miami pop-up -- will be in the Delano's basement nightclub FDR nightly. There will also be an Art Markit pop-up shop and a Vanity Projects nail salon poolside at the Mondrian. The bragging rights for being Miami's first art fair surely belong to Art Miami. Now in its 25th year, the fair also includes CONTEXT -- dedicated to emerging and mid-career artists -- and Aqua Art Miami, as well as the original fair hosting over 130 international galleries in their Midtown Miami location. It's open daily through December 7th. Ian Schrager (and Marriott) launch their latest EDITION hotel (2901 Collins Avenue at 29th Street) eith parties from top to bottom. 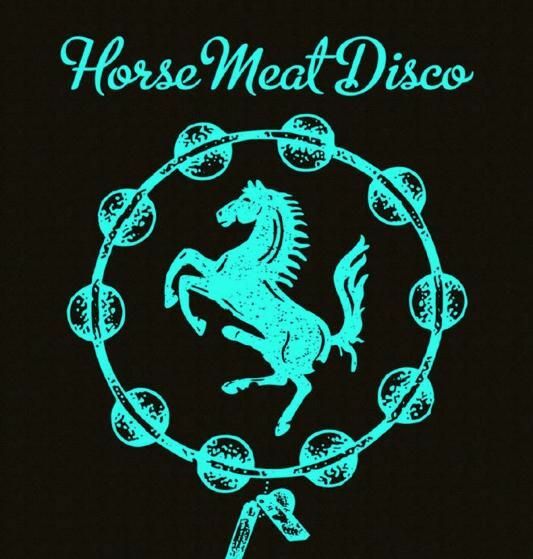 Tonight there's a dance party with London's Horse Meat Disco DJs in the basement in honor of the hotel's interior designers George Yabu and Glenn Pushelberg. And in the penthouse, Absolut Elyx will create an private, pop-up club called Casa Elyx with cocktail parties, book launches etc. happening all week. We can't wait to check out this new hotel and are happy to hear that Ben Pundole is involved. There's a bowling alley and an ice rink, too. Several artists including Will Cotton, Blair Thurman, Jules de Balincourt and Daniel Heidkamp have been asked to design bowling balls. Three pop-up galleries are taking over poolside bungalows at the EDITION during the week: Hamptons bookshop Harper's Books and NYC's Half Gallery will show new paintings by Genieve Figgis and works by Enoc Perez; Leo Fitzpatrick and Nate Lowman's LES gallery Home Alone 2 will do a group show and giveaway featuring artist postcards; and Fulton Ryder Gallery launches a Marilyn Minter book and exhibition. Bill Powers organized the whole shebang. The Savannah College of Art and Design and the SCAD Museum of Art present an exhibition called "i feel ya: SCAD + Andre 3000 Benjamin" from December 3rd through the 14th at Mana Wynwood (318 NW 23rd Street, Miami) featuring custom jumpsuits designed by Andre 3000, a large-scale painting by Jimmy O'Neal and an experimental film called "Trumpets" by Greg Brunkalla. There's a panel discussion on Wednesday at 3 p.m. and a "collectors breakfast" on Thursday. Celebrate women in art at a big soiree called "Creative Royalty" on Wednesday, December 3rd, 10 p.m., at 4833 Collins Avenue, Miami Beach. It's hosted by Nicole Ehrlich's Rocket in My Pocket and Up & Down and supports the Brooklyn Museum's Elizabeth A. Sackler Center for Feminist Art and School of Doodle. 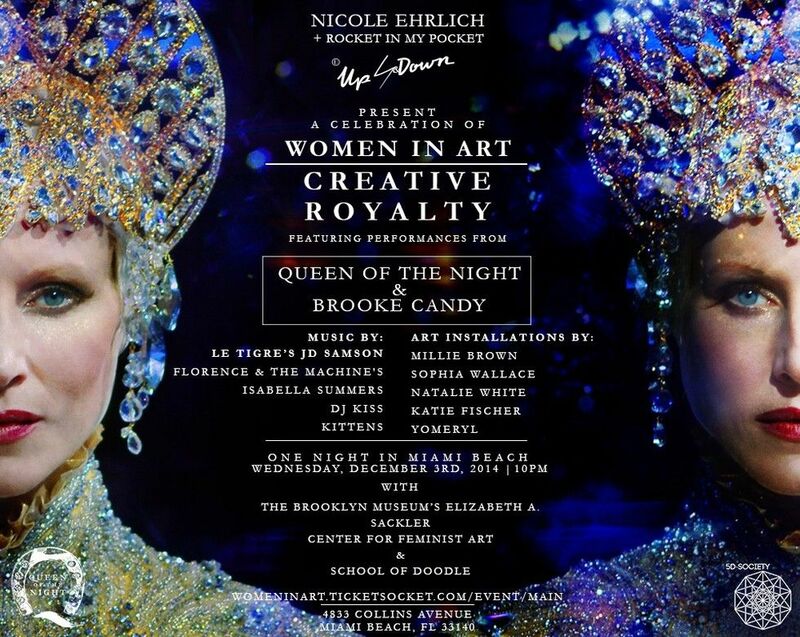 Part of the night's entertainment includes selected performances from Paper's September cover girl, Brooke Candy, and the hit NYC immersive theatrical experience "Queen of the Night." Tickets are available HERE. Soho Beach House (4385 Collins Avenue, Miami Beach) again hosts the Harper's BAZAAR pop-up boutique filled with fashion and beauty items; plus daily talks, demos and more. It's open to the public (with an RSVP to thestyle@harpersBAZAAR.com) starting today. Luxury automaker Bentley launches a new series of art and design commissions called "Bentley Elements" with an installation by the Italian artist Massimo Uberti. "Light" -- the first element to be explored in a series conceived by creative directors Campbell-Rey -- will be on view from today to the 4th at 25 NE 39th Street in the Design District. L.A.'s PAPILLON Gallery (4336 Degnan Blvd., Leimert Park) hosts a private cocktail party hosted by gallery owner Michelle Joan Papillion on December 3rd at the EDITION hotel, with entertainment by Graham Craig. Berluti (161 NE 40th Street, Miami) is showing selected design pieces from the private collection of Francois Blanc, including items from Studio Job, Andrea Branzi, the Campana Brothers, Johanna Grawunder and Stuart Haygarth. On view all week. 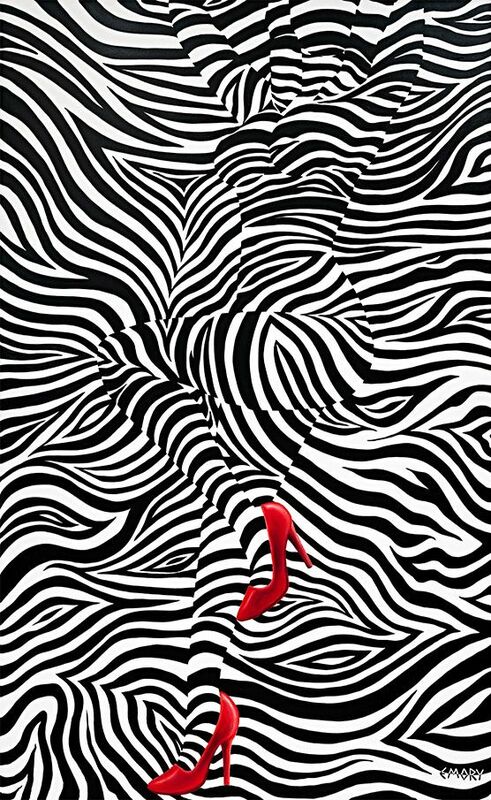 Check out Blake Emory's "Zebra Love" collection at the Spectrum Miami fair. On view all week. Two private dinners tonight at the STANDARD: the first is for "Pop-In@Nordstrom Gift&Go" hosted by Olivia Kim and Rafael de Cardenas; and the second celebrates photographer and director Fabrizio Cestari. RSVP mandatory. Brazilian design gallery Espasso hosts a private dinner at the Shore Club to celebrate "the best of Brazilian design" and to introduce Isay Weinfield, the designer that is doing a total makeover of the hotel in 2015. Big warehouse pop-up at 25 NW 34th Street in Wynwood with lots of galleries and DJ Uncle Mike ( spinning tonight and Saturday.